Since 2011, not only seahorses but also pipefish species are included in the Hippo-ATLAS participatory program. NB This maps only displays the records we actually received. 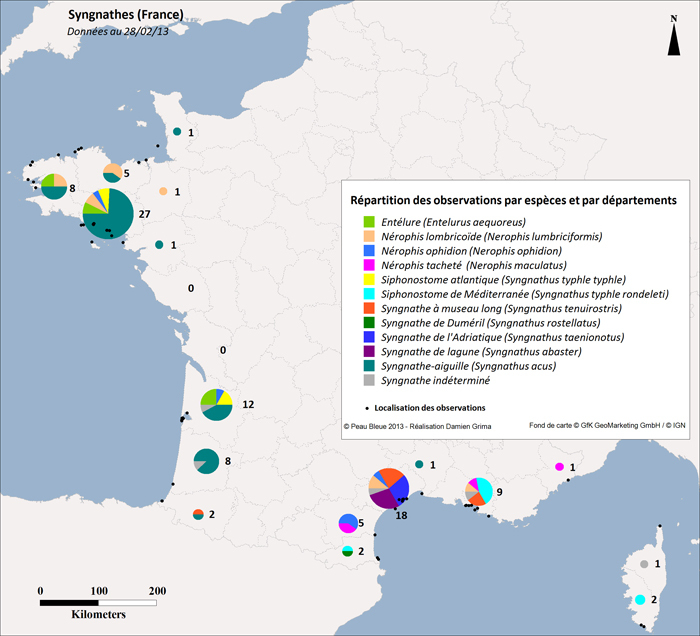 Thus, it doesn't show the complete geographical distribution of the various species. And of course, if you have seen a pipefish in an unregistered location, don't hesitate: send us the information!